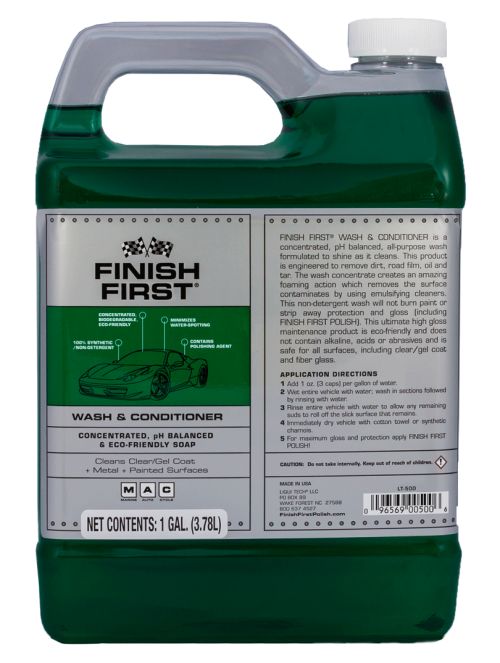 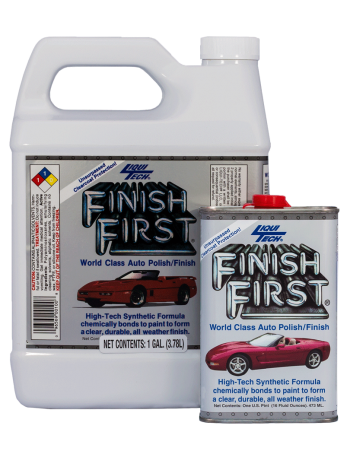 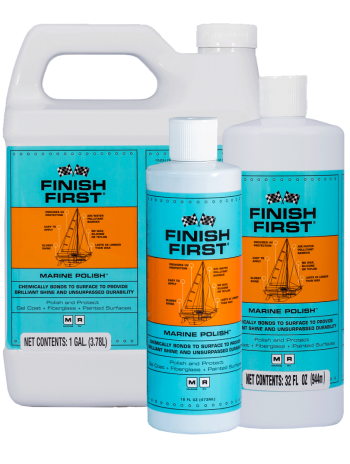 Finish First Wash & Conditioner is a concentrated ph balanced paint shampoo that is formulated to polish and enhance gloss as it cleans. 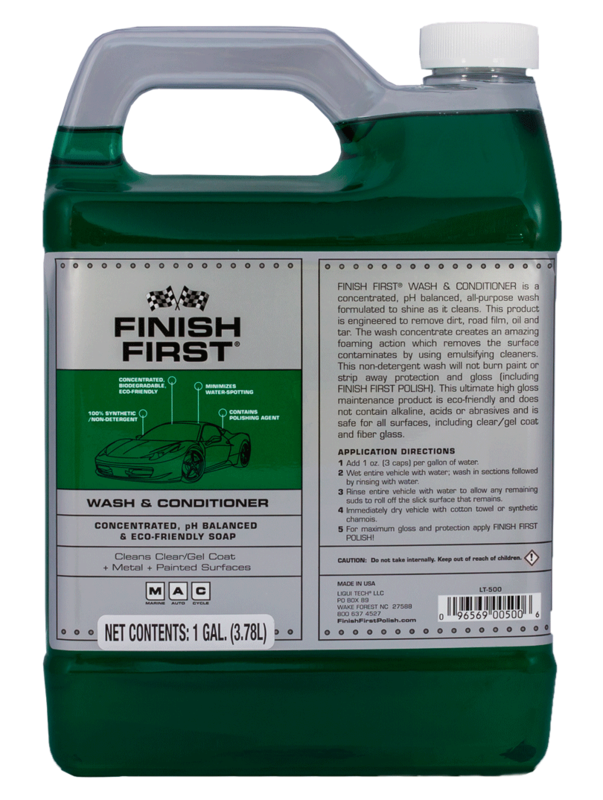 A synthetic, non-detergent formula that minimizes water-spotting while washing, even in direct sunlight. It produces great soap bubbles and will not leave a white film that dulls the painted surfaces. 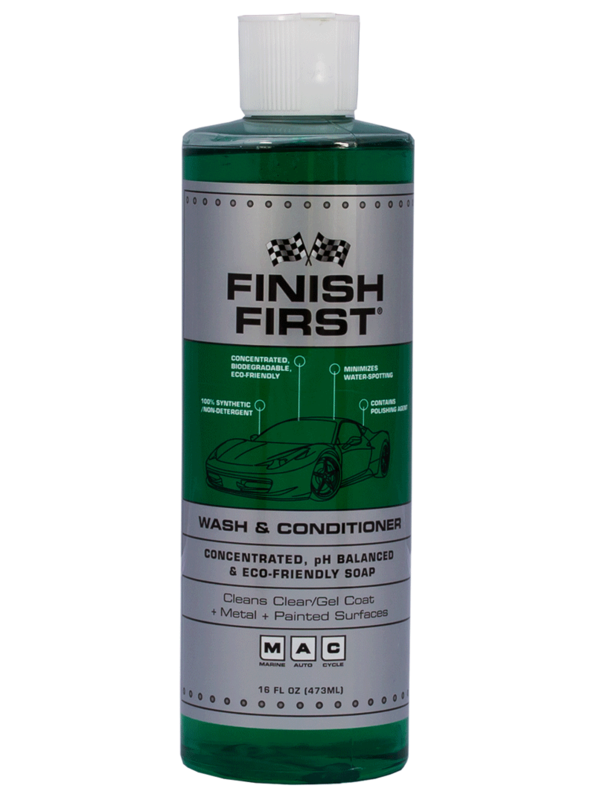 Finish First Wash & Conditioner removes dirt, road film, oil, tar, bugs, etc., and leaves a polished look between washes. 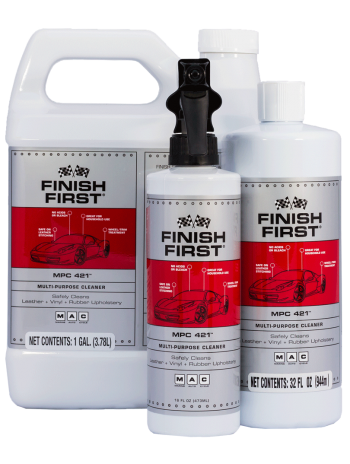 The gentle foam action removes surface residue by using emulsifying cleaners. 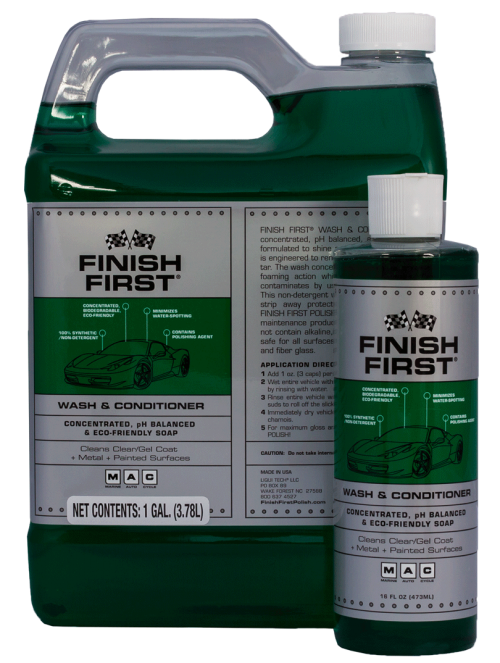 This shampoo will not burn paint or strip away protection and gloss.